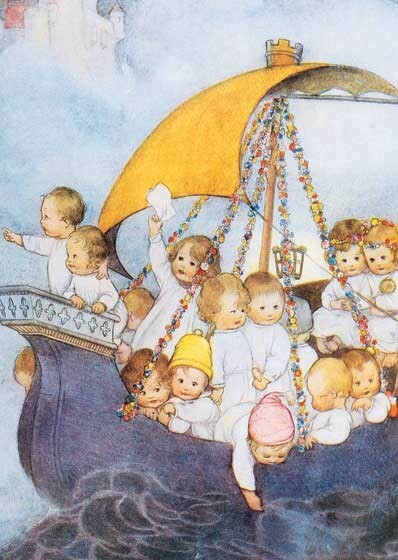 Mabel Lucie Attwell (1879-1964) was a British illustrator of phenomenal success. 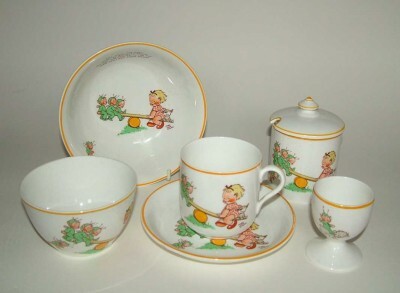 In her long career she not only lent her talents to a great many children's books and periodicals, but also toys and dolls, calendars, and household items–most notably china. 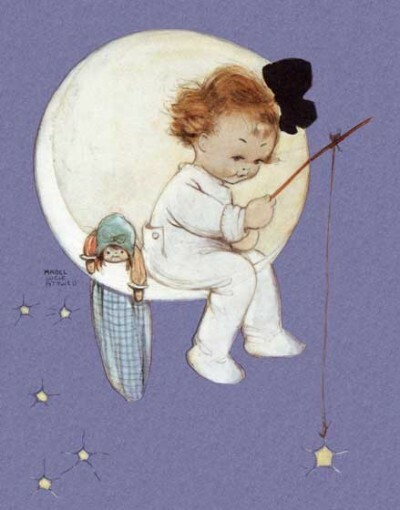 Attwell excelled at the stylized depiction of children, generally with chubby cheeks, in idyllic settings. Most were young and many were babies. 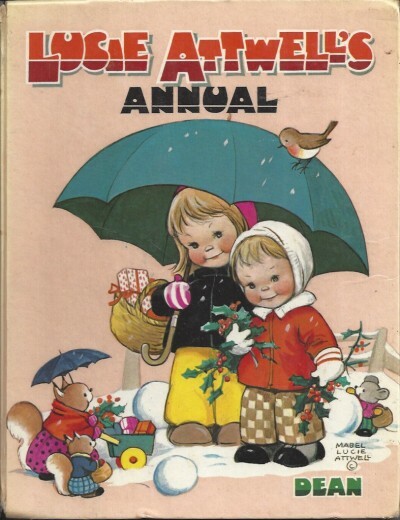 The "Mabel Lucie Attwell Annual" was published between 1922 and 1974 (a decade after Ms. Atwell's death). British children's annuals were a grand tradition, large books intended for holiday gifts and treasured today by collectors. 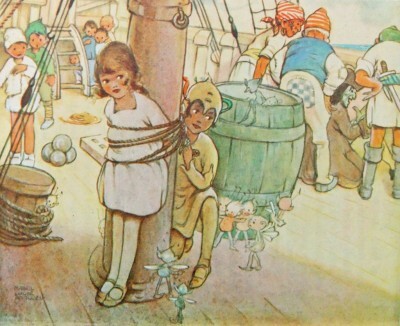 During her long career, Ms. Attwell illustrated a number of classics of children's literature, include Alice in Wonderland, Peter Pan, the tales of Grimm and Hans Christian Andersen and the rhymes of Mother Goose.